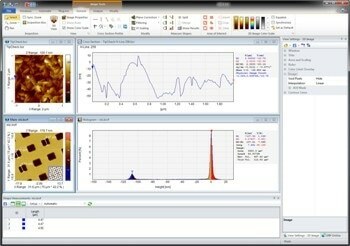 SPIP™ is a professional software package that provides industrial and academic researchers with an advanced toolkit for working with microscope images, profiles and force curve data, including correcting and noise reduction, analysis and inspection, visualization and reporting of analysis results. Strongly rooted in metrology, SPIP™ is known for its resulting analysis and processing accuracy and detail. Comprehensive visualization tools allow adjustment and personalization of image presentations, and the customizable automation tools ensure efficiency and productivity for the user. 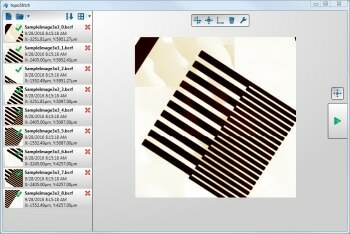 SPIP™ supports many microscope types including scanning probe microscopes (SPM, AFM, STM, SNOM, etc. ), electron microscopes (SEM, TEM), interference microscopes, confocal microscopes, optical microscopes, and profilers along with their file formats. SPIP™ can be configured to individual user needs by selecting an appropriate package or by selecting individual features with the desired functionality. SPIP™ can be handled with ease by both skilled researchers and amateurs. IV (CITS) curve analysis incl. density of state calculation etc. Analyse force curves: Critical events, Hertz/DMT/JKR models, WLC models, etc.